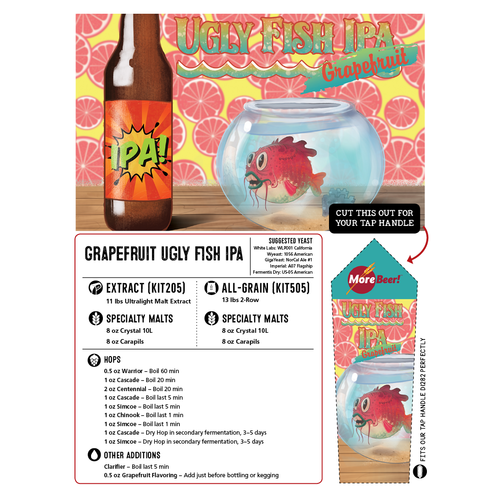 Our Ugly Fish IPA is now available with grapefruit! 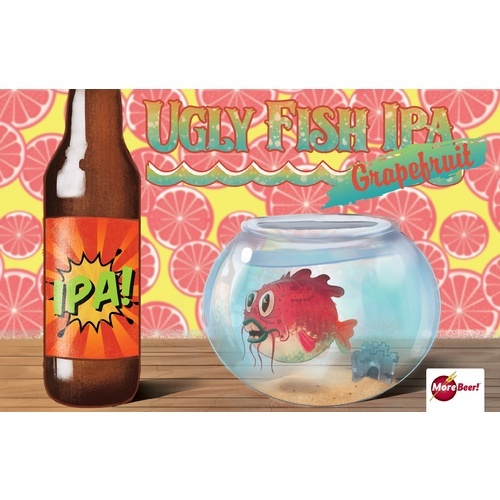 This is our normal Ugly Fish IPA that you know and love but with grapefruit flavoring included. Add the flavoring just prior to bottling or kegging and you'll have a great fruity IPA to enjoy. Contrary to it's name, Ugly Fish IPA is actually one of the most beautiful beers we have to offer! Designed as a clone of the highly sought after Ballast Point Sculpin® IPA, the Ugly Fish IPA is a hop masterpiece. This beer starts with a very clean bitterness from Warrior hops, and finishes with a beautiful blend of Cascade, Simcoe, and Chinook late additions. With almost 10 ounces of hops, the Ugly Fish IPA is definitely a hop forward beer, but does have a solid malt profile that stands up to those hops and helps to keep it reasonably balanced. If you're looking to treat your taste buds to a beer that we think has been hopped perfectly, we highly recommend the Ugly Fish IPA! I'm a big fan of the Grapefruit Sculpin, so thought I should try this. Visited Ballast Point San Diego flagship store. Love their beer! Pretty good exact brew, however adding the entire bottle of grapefruit flavoring was a bad idea. Might have been okay with half or so, but now all I taste is the grapefruit. This is the third time making Ugly Fish, first time using the grapefruit extract. I went for it and did a full vial. Boy, I'm glad I LOVE grapefruit. 1/2 vial of extract will probably be plenty next time. This is adjustable to taste, so no star deduction on the rating needed. Nice hoppiness and good grapefruit finish. The recipe said to use 1/4 to 1/2 oz. The flavoring came in a 1/2 bottle. Since I was kegging I just dumped in the whole bottle. The grapefruit flavor was definitely there! 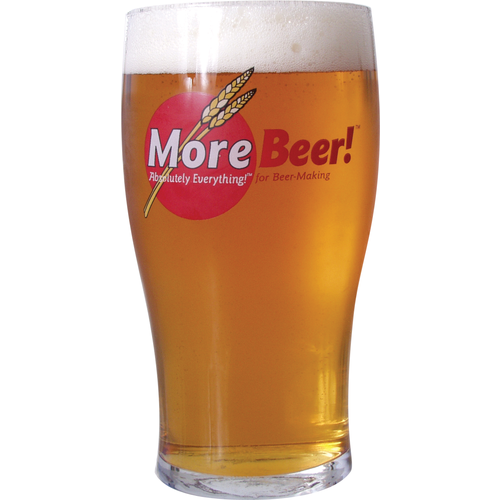 I took a growler of this IPA to a beer tasting party, and it got very high marks. Someone who does not like IPAs said this one was great!